It has been a busy 2016 for the Core Systems team as we raised £1,600.34 for Almost Home Animal Rescue. 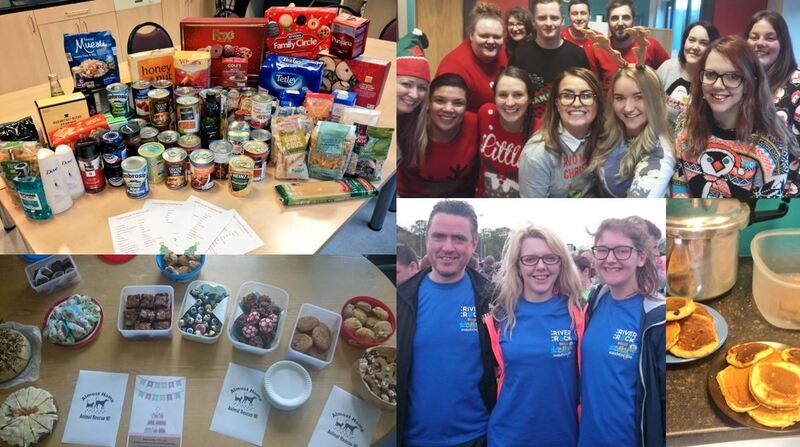 Throughout the year, the team participated in a number of fundraising activities including Belfast City Half Marathon, Belfast City Marathon Relay, Raffles Bake Sales, Quizzes and Christmas Jumper Day. The funds we raised will go towards helping the volunteers at Almost Home Animal Rescue provide comfort, care, and rehabilitation to many stray animals. The aim is to help these animals find their forever homes. Linda McCall, a Software Developer at Core Systems, has volunteered with the charity in her spare time, seeing first-hand the valuable care the rescue centre provides. Our charity committee would like to thank everyone who got involved and generously donated to our charity of the year.